Hayes’s statement holds the tension of public and private--publicly people want to sort you, classify you, use you as a mouthpiece, a representation, but as an artist, the only way to authentically do your work is to be present to your self. It is something of a koan: How can you truly be present in and with and for yourself if you are representing someone or something else—even someone or something that looks and sounds exactly like you? Much of the art I enjoyed in 2015 pivoted on questions of presence and representation. In January, I started my art immersion for the year with the film Selma. I found it to be a riveting and intense look at one slice of the Civil Rights movement. What I appreciated most about it was the layers of the Civil Rights Movement that it revealed. History has flattened somewhat the broad span of groups involved with changing the laws and practices of segregation and voter discrimination. The students, the voting rights activists, the local workers, the movement architects, the superstars, the rabble rousers, the freedom riders—everyone joined the resistance from a different angle, representing a different demographic and a different motivation, and all these disparate strands came together to speak in one voice. 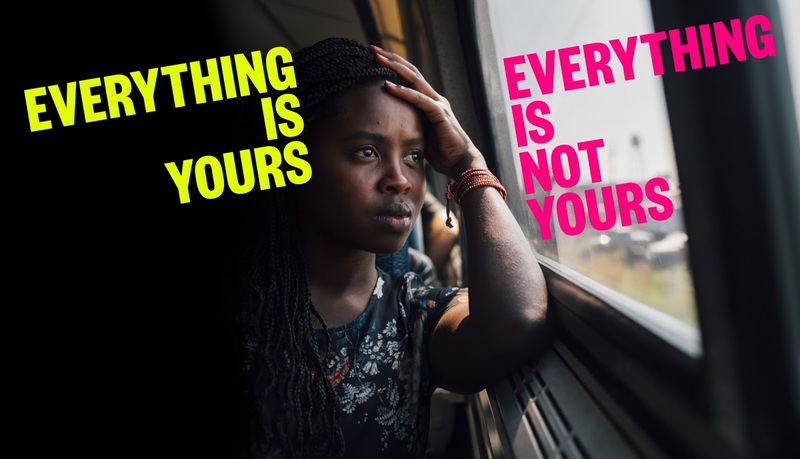 The other thing the film did was take an unflinching look at the indiscriminate violence that was visited upon anyone pushing for an integrated, equal society. The film demonstrated that the Civil Rights Movement wasn’t a sanitized event that—with a few marches and songs—created a more just society. The willingness of so many to be beaten, jailed, and killed was the thing that moved the needle in awakening the consciousness of a nation. 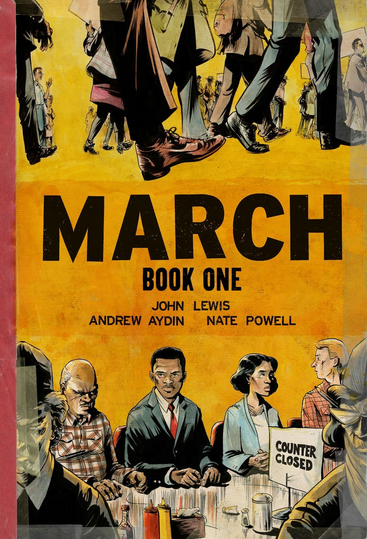 Selma dovetailed quite nicely with the graphic novel March by John Lewis, Andrew Aydin, and Nate Powell. John Lewis was a college student during the Civil Rights Movement and was active in SNCC (Student Nonviolent Coordinating Committee). SNCC was already working in Selma when Martin Luther King and his leadership from the SCLC (the Southern Christian Leadership Conference) came to town to support the push for voters’ rights. 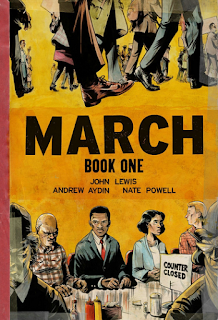 The graphic novel’s striking illustrations and compelling storyline tells the boots-on-the-ground story of one young man who was unflinchingly committed to change in this nation. Though Selma and March deal with times past, both were shockingly relevant to our nation’s contemporary identity, especially in a year filled with protests, murders, and marches. The evening after I saw Selma, I went to The Public Theater to see Toshi Reagon’s musical production of Octavia Butler’s The Parable of the Sower. 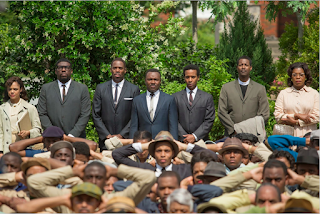 One thing that was conspicuously missing from Selma was the music of the movement. With the exception of MLK calling up Mahalia Jackson in the middle of the night to sing to him so that he might hear the voice of God, DuVernay chose not to include song. There was, of course, a soundtrack, but during the march when there was singing, DuVernay showed the actors mouths moving but did not reveal the audio. During that time period, music was a major component part of protests, whether anti-war or anti-discrimination. There has been a lot of study of protest music, notably Soundtrack for a Revolution http://www.soundtrackforarevolutionfilm.com/Home.html, a wonderful documentary about the music of the Civil Rights Movement and what it meant to the marchers, how it kept them fearless and motivated. I suspect DuVernay did not use the music in the film because we are saturated with the image of people marching and singing. To a degree, I think the national narrative we’d like to believe is that the marching and the singing made change. The song was spirit food—it fed the marchers, steeled their strength and their resolved, helped them carry on when they were tired and face death when they were scared, but it isn’t what won the battle. Toshi Reagon was born into the tradition of activist folk music. Her mother, Bernice Johnson Reagon, was deeply engaged in the Civil Rights Movement and other activist movements. She was also a founder of the group Sweet Honey in the Rock. Toshi was named for activist, filmmaker, and wife of Pete Seeger—Toshi Seeger, so activism runs deep through her lineage. Early in 2015, Toshi did a series of performances to workshop the songs she’s developing for an opera of Octavia Butler’s The Parable of the Sower. Because I saw it on the same day as Selma, I couldn’t help but view it in conversation with Selma and it was almost like the musical answer to Selma. 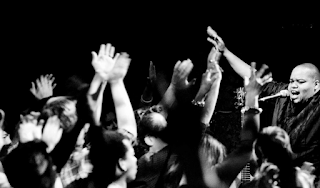 Performing music from the folk tradition and the church tradition with nods to rock and spoken word, Toshi gathered a wonderful group of performers to bring Butler’s words to life through song. I can’t wait to see the opera. One of the songs—dealing with the company-sponsored town—referenced how hard it is not to sell out when faced with the difficulties of life. For me, much of Butler’s oeuvre deals with humans in untenable situations and the unthinkable acts that we engage in when our backs are against the wall. One of the songs for this evening had a chorus that went something like: you think you can’t, but you will; you think you won’t, but you will, you will, you will. It is so Butler. This film had nothing to do with representation—except, perhaps, the representation of other types of stories on film, something Argentinian filmmaker Alejandro Jodorowsky pleads for in this passionate, philosophical crowd-funding video. Wild Tales features five madcap stories about the ravenous nature of revenge—how it consumes the person seeking revenge and burns down much more than the intended target. As stated in a review from The Guardian: “Characters surrender, gratefully, to the thrill of losing it and letting someone have it.” The end result of the film is quite thrilling as you watch people push themselves to the limit to take revenge on others—and suffer the consequences. Rotten Tomatoes calls it “Wickedly hilarious and delightfully deranged.” I wholeheartedly agree. Amaryllis DeJesus Moleski presented a series of drawings at MoCADA in the spring that features big-bottomed, curvaceous women who seemed to be both futuristic and of the moment. There was so much playfulness as she explored self-image, mythologies, and the fantastic. 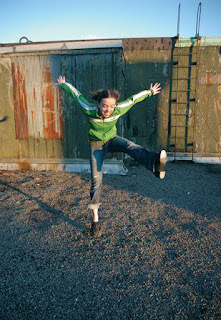 I loved the exuberance, unexpectedness, and other-worldly nature of the work. More images and thoughts from the artist here. 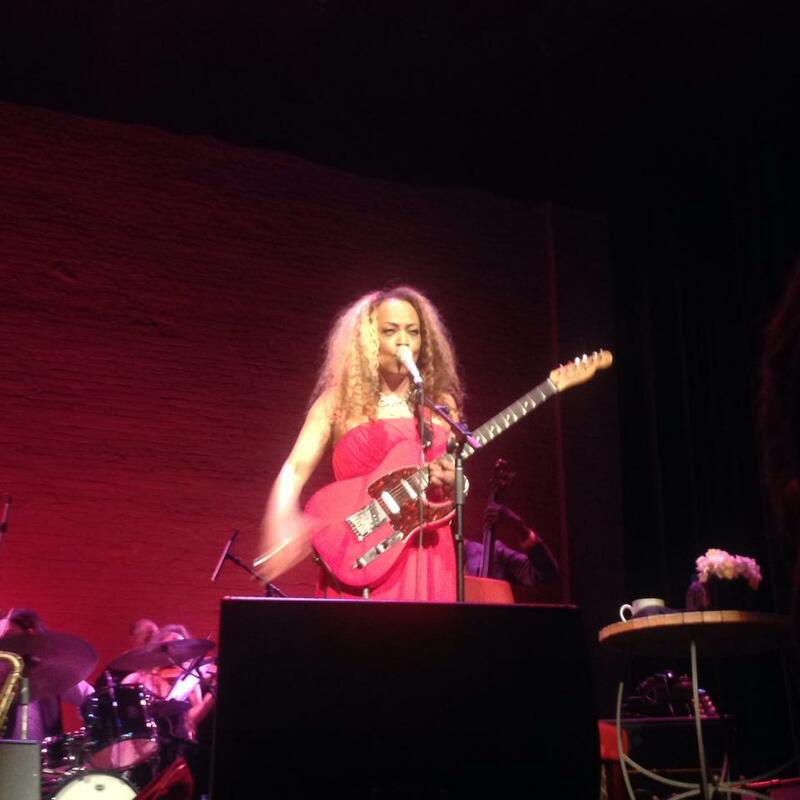 For her tribute concert to Billie Holiday, Cassandra Wilson created an immersive experience that built its own setting, aura, and sensation of romance--transporting us into two hours of altered feelings that mirrored the fluttering pleasures of being in love. Being vulnerable before others is immensely challenging. Wilson immersed herself in emotion in front of a packed theater. She was positively altered by the music, the musicians on the stage, emotionally embodying that which she was singing. It’s the type of presence I want to bring to my work. When we called her back for her encore, she strapped on her guitar and used it to introduce sonic dissonance and squeals as accompaniment to her vocals on the classic Strange Fruit. At the end, she went wild, continuing to improvise on it while slamming it back down in the stand. She left the guitar squealing while she exited the stage, leaving her band to reconcile the sound, to handle what she had flung out into the world. 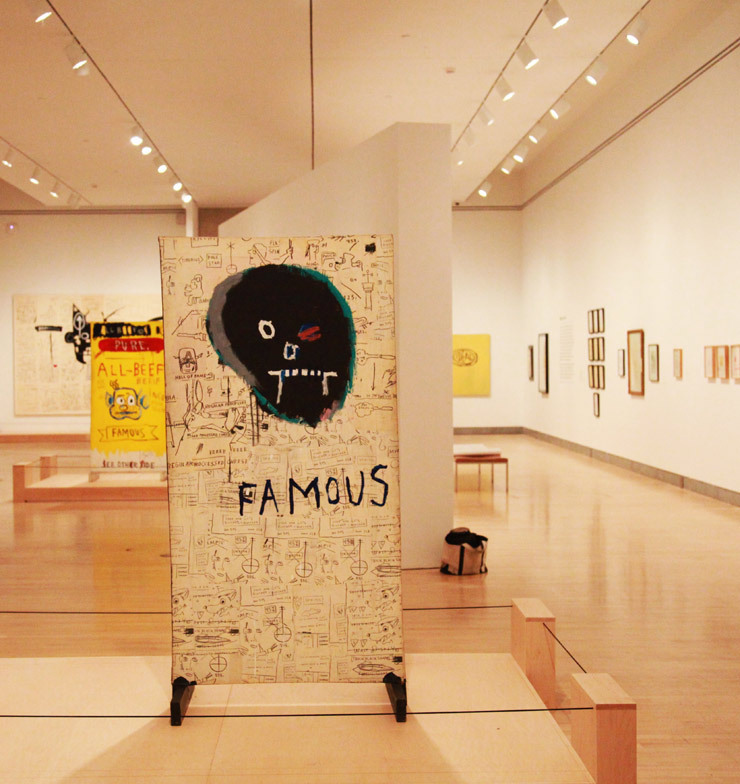 You can’t see Basquiat’s work without thinking about representation, fame and pain. 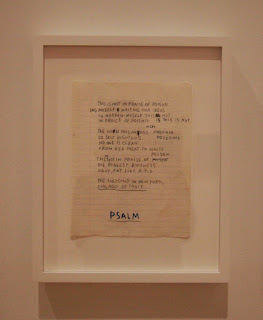 … I was discomfited at the spectacle of all of us, seeing his notebooks, his private scribbling, each page in each notebook taken apart so as to spread our consumption of him wider—especially as I suspect the consumption of him, the contradictions therein, led to his overdose death. This experience was thought provoking as it showed how Basquiat worked through his ideas and creative impulses. I am often jealous when I see artists playing with their thoughts, creativity, process, ideas, because I dream of returning to a state during which my creativity roams without constraint. As someone who squeezes in the time to work when I can, I am inspired when I see other artists existing in state of creative immersion. The exhibition showed the depth and breadth of his creative instincts, impulses and compulsions. I found this Netflix documentary about Nina Simone absolutely riveting and layered. The level of presence she brought to performing was a major theme of the documentary, but for me the theme that was most compelling was the issue of representation—how issues of abuse, family, mental health, freedom, the cost of life, the cost of fame, genius, racism, social unrest and escape are explored through her body and her presence. I felt each of these issues intensely and viscerally through the lens of Nina Simone’s tumultuous life. She was a woman of the times in one sense—in the sense of a woman being expected to marry and let her husband take care of things. At the same time, she was timeless, a woman of another world completely, with her vision, her talent, and her fierceness. An amazing portrait of both a woman and a time; a society and a situation. In a multi-part essay, called Everything Is Yours, Everything Is Not Yours, Rwandan Clemantine Wamariya writes about her life as a refugee following the Rwanda massacre. in addition to the harrowing details of surviving while the world is crumbling around you, Wamariya has a piercing analysis of the world and a wit that makes you want to keep reading and reading. Wishing you all a fierce 2016 full of presence, passion, and bold artistry. 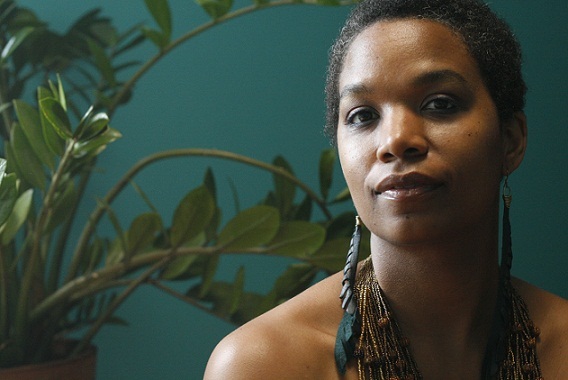 Kiini Ibura Salaam is a writer and painter from New Orleans, LA. 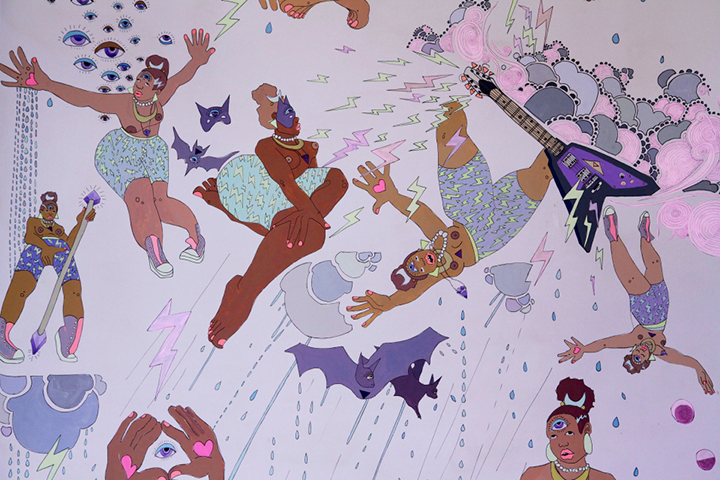 Her work is rooted in eroticism, speculative events and worlds, and women's perspectives. Her fiction has been published in a number of anthologies, including Dark Matter, Mojo: Conjure Stories, and Dark Eros. Her essays have been published in Essence, Ms., and Colonize This. She is the author of the KIS.list, an e-column that explores the writing life. 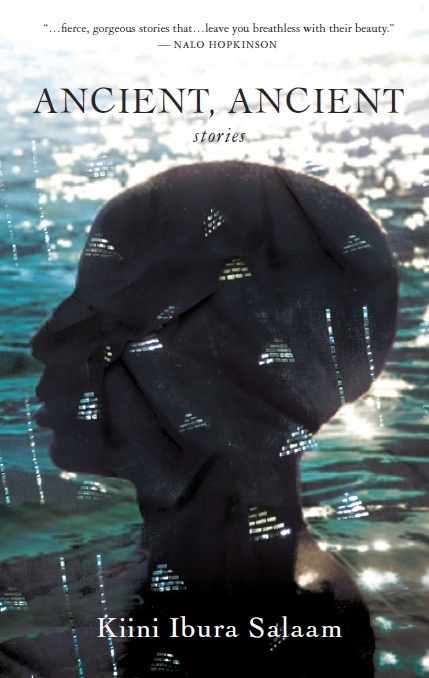 Her first collection of short stories, Ancient, Ancient, was published by Aqueduct Press in May 2012 and was a co-winner of the James Tiptree Jr. Award. She lives in Brooklyn.